We have a simple mission, and that’s to provide you with a beautiful smile. A beautiful smile is important. So important, in fact, that it can help you accomplish nearly anything you want in life. It’s true! Think about the first impression a great looking smile can have on a person. Now, think of an unsightly smile. You bet the person is naturally going to gravitate towards a person with a beautiful smile. At our office in Glenpool, OK, we can help you achieve a beautiful smile with our general dentistry services. We’re constantly furthering our education by attending classes in various dental subjects. Why do we do this? It’s easy — so we can offer our patients the best dentistry results possible. WIthout great dental hygiene, smiles are lost. General dentistry starts and ends with our patients, but we’re in the middle helping build an oral-care bridge. 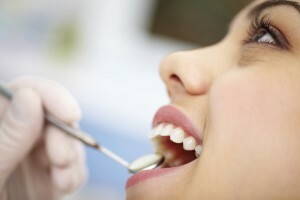 Our office offers many dentistry options in addition to just general dentistry. We’re talking restorative, cosmetic and more. Each treatment is designed to address a certain part of your mouth in the hopes of correcting any appearance or functionality issues. Our services are perfect for patients of all ages and families. Tooth decay is one of the most common problems we see at our office, especially in children. This is the time of year where temptation is all around in the form of food and other sugary treats. How you’re taking care of your teeth at home is very important in living a life with great oral health. Are you brushing and flossing twice a day? Are you scheduling dental checkups every six months? If you aren’t, you could be running the risk of inviting disease and infections into your mouth. We also specialize in tooth-colored fillings, as opposed to amalgam (silver) fillings. We want to replace all silver fillings for a variety of reasons, but mostly because of the harmful effects of the mercury that’s present in a silver filling. They can weaken teeth and damage them beyond repair. It’s our job to rid your mouth of any and all silver fillings and instead replace them with tooth-colored ones instead. If you’re ready to start living your life in great oral health and flash a beautiful smile, we’d love to see you in for an appointment at our Glenpool, OK office. We will sit down with you and inspect your mouth to see which treatment choice is best for you. Once the treatment plan has been customized, we’ll get to work. You can trust your teeth to us! We invite everyone throughout the area to come see us, including those of you in Sapulpa, Keifer and Okmulgee.